Gaming should be fun, safe and healthy. We have info, tools & resources. 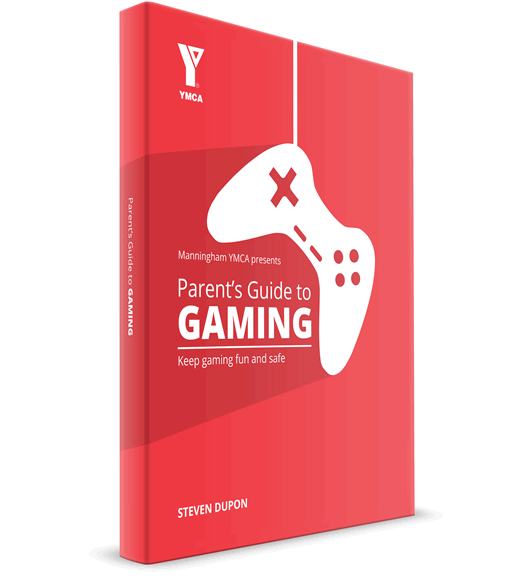 The Parents Guide to Gaming is full of useful information about how to manage gaming in the home. The Parents Guide to Gaming was written for Manningham YMCA and is FREE thanks to a grant from Manningham City Council. And join our newsletter for updates and news. We send a monthly newsletter with updates, new tools, events, pd's, and more. For people interested in how gaming intersects with wellbeing, mental health, education, development and so on. get one of these packs! + 14 factsheets/worksheets/tools to help you manage your kids and their video games. 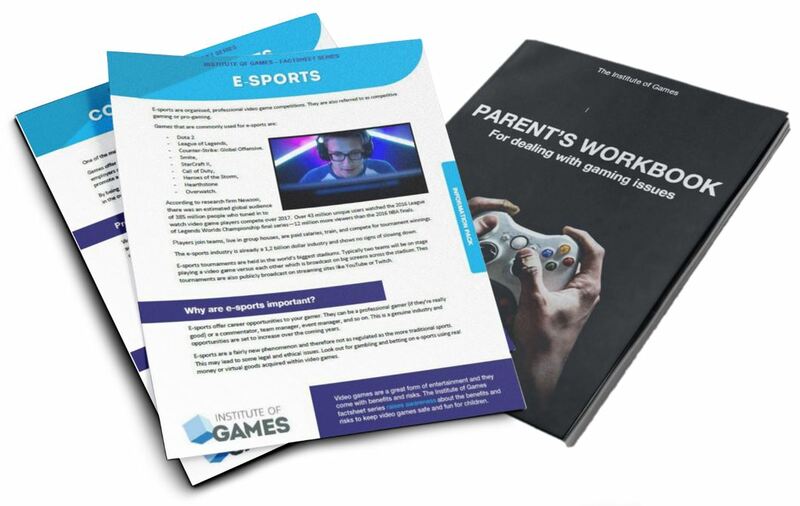 + THE PARENT’S WORKBOOK FOR DEALING WITH GAMING ISSUES AT HOME. This is our number one resource for when gaming leads to arguments or conflicts in the home. It’s a step by step manual to achieve a better balance between gaming and real life responsibilities. It also focuses on your relationship with your child and will give you many tips on how to improve the connection with your child. + 14 factsheets/worksheets/tools to handout to families to help them with gaming issues. + 14 information factsheets about video games so you and your families understand the impact gaming has. We work with parents, students and professionals to learn more about gaming and how to stay safe and healthy whilst playing video games. Teaches students how to moderate their gaming and identify the risks associated with video games. Parents learn about the impact of video games and develop a plan on how to deal with gaming in the home. Ensures teachers can support students when their wellbeing and academic performance is affected by gaming. Contact us to discuss our workshops. This website is managed by The Institute of Games. We study the impact of video games. For the past decade we’ve been collecting and studying research and worked with families who experience gaming issues. We create tools and resources for parents and professionals. Making it easier for parents to manage gaming in the home and for professionals to support young people and their families with gaming issues. We provide training, workshops and support. We share what we’ve learned, slowly closing the generation gap on video games.